Make sure you have the most recent version installed. You can always find the latest version in the version archive. Install the development version instead of stable if available to make new features look natively to your countrymen before release. Default language of OS X must be set to the target language i.e. if you wish to provide localization in French, Français must be in top of the language list before you go on. When your language have several dialects (Europian and Brazil Portuguese, for example), insure you have only one dialect in the list of preferred languages before launching the application. Done with the points above? 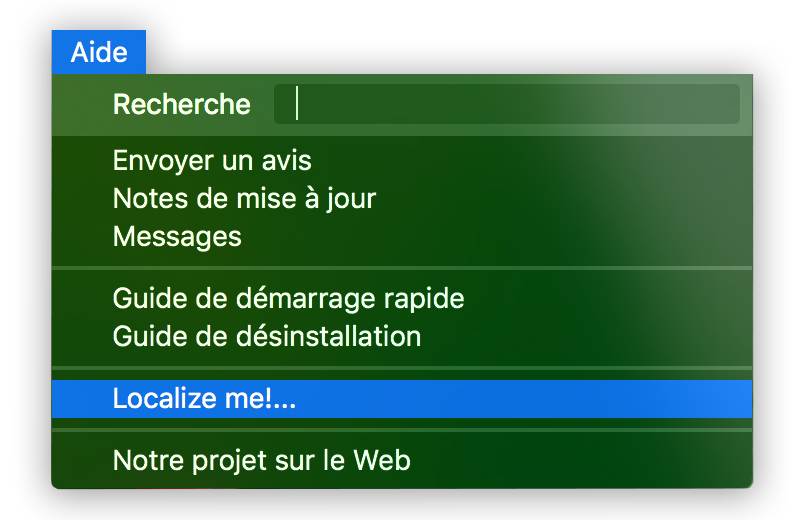 Launch Progressive Downloader and select “Localize Me!” from the “Help” menu. List of keys. Key is a unique phrase or word used by the app to find localized text. English localization (cannot be edited). Local language localization (field for your text). Submit button. Click it when you feel satisfied with your localization. Discard button. You might need it to abandon your changes and select another key. Check-box to switch between already localized ard not localized keys. Localization process is very smooth and simple. 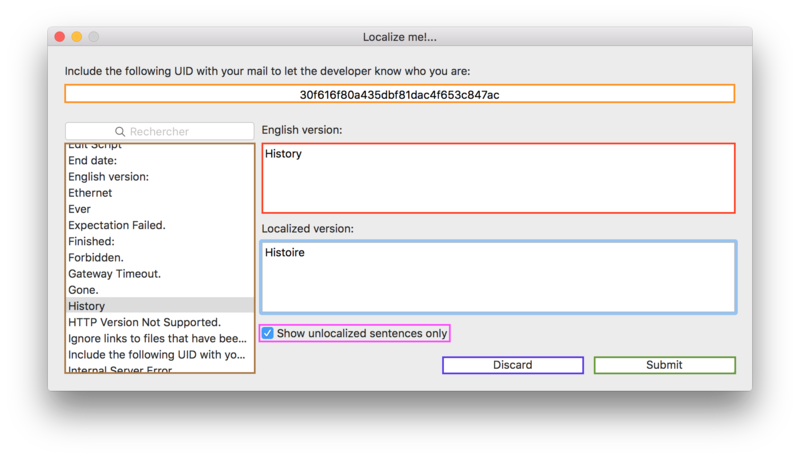 Select a key from the list, read English localization to write your own version into the local language localization field and click Submit to send it to the developer. Repeat the steps as many times as you can and restart Progressive Downloader to see the result of your work. If you feel you want to be among the other people who helped the project and deserve to be mentioned, don’t hesitate and write me about your work and UID.